Most of us have had a bad work day at one time or another. A stressful Monday, a long work week or an overloaded Friday! Well for all of you hard-workers out there, here’s a funny little game that will liberate you and pass the time at work. 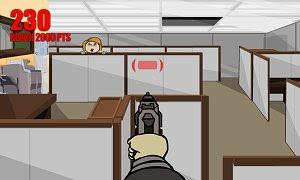 Cubikill features an overly stressed office worker that has had just enough.